At first glance, many of you might wonder what a member of the public prosecutor’s office is doing writing the editorial for a magazine about the Réserve Naturelle of Saint Martin. On the surface, our functions are so very different, from sanctioning and punishing on the one hand, to protecting flora and fauna on the other, that one might actually wonder what we talk about when we meet. Yet, the same principles that govern their actions allow us to work together : respect for others, respect for our natural resources and the sites they represent, as well as listening and offering service as needed. These are not just empty words. They are a reality that translates to day-to-day actions taken by Réserve Naturelle on a regular basis, and hopefully the effects are more long lasting than those of an ad that is forgotten as soon as it is published. 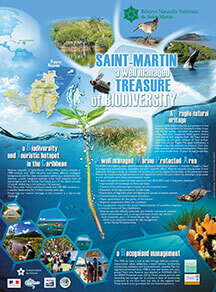 For the ongoing observations of flora and fauna, the data collected and the scientific studies as well as informational campaigns, pedagogical tools, and the commitment of a very professional staff are among the pacifist weapons that contribute discretely and resolutely to changing the attitude that we should all display toward the island of Saint Martin. If I am grateful that I was asked to write this editorial, it is also because it offers me the opportunity to show my support, other than by simply following up on the judicial issues confronted by the Réserve Naturelle. And finally, what is better than offering this support publicly. 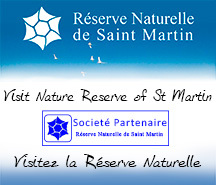 I salute the Réserve Naturelle of Saint Martin as it continues its activities and strives to reach its primordial goal: to love teaching us about the natural heritage of Saint Martin. So here’s to your buoys, your cameras, your measurement instruments, your data, and your analytical software!